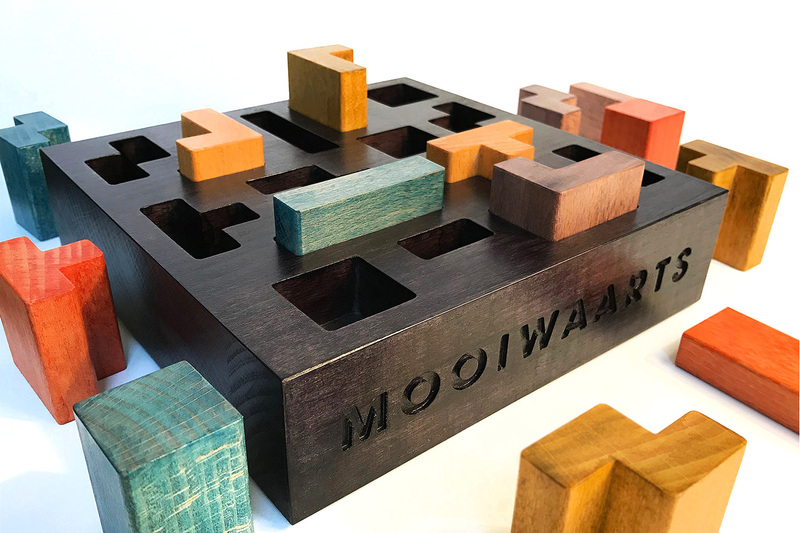 Unique ‘exchange’ trophy commissioned by the Mooiwaarts initiative group of the Federation for Spatial Quality. This trophy is awarded to individuals or organizations who collaborate on spatial quality in an inspiring way. Each prize-winning project wins a unique element with their name and date printed on it. The base can contain 15 elements and therefore the trophy can be handed out 15 times. Base: CNC by Joël Waraoke.